Ya Rabbi, we are asking to enter into an ocean of nothingness. This material world is making us to be something, always trying to build us as if we have some power and some strength, and the more we become something, the more “I” become something, the more the “I” becomes important, Mawlana Shaykh’s teaching is that the farther I’m moving from that Heavenly presence and from God’s pleasure. So then tariqa comes to teach us how to negate ourselves and enter an ocean of nothingness. If we claim to be nothing, and advise people before we talk, before we act, before we do anything – especially in tariqa- that “I’m nothing, but from the gifts that God has granted to my Shaykhs, they are something, and Prophet (s) is everything, and Allah (swt) is absolute, and I am nothing!” Mawlana Shaykh’s teaching, and it’s a reminder for myself and everyone who is interested, is that if we claim to be something then the benefit of the association is very small. If I claim to be something, and people are coming for healing or for prayers to any representative of tariqa, or any spiritual master or spiritual path, if you say “I am something” you are in competition with Divine Presence. Then you are creating an idol of yourself and people begin to worship you, worship the idol, instead of worshiping the Divine. As soon as you put an “I” and give the impression that “I can do something”, the Divine immediately says, “let’s all stand back and see what this person can do” and immediately that burden, or that sickness, is thrown onto that ego that is claiming everything. And now the whole association is no longer benefiting but they are now suffering from the “I-ness” of that teacher. Then Mawlana Shaykh’s reminder is for us to understand the power of the association, and how the association is helping us. We are wondering, how are these powerful blessings coming? How are these prayers being answered? How is the healing taking place? Because they teach us, “Tell them you are nothing, and keep telling people you are nothing!” “’Abiduna bi Madadikum” It means I’m absolutely nothing without their support. But that takes faith. A lot of people think “I have to build myself up so that people believe in me, and then that will expand the association.” Some people sincerely think they are doing that for their Shaykh. They think, “I’ll expand the association and my Shaykh will be happy with me.” But Mawlana is teaching from the station of faith that it’s not you who’s building anything! You don’t need to build the association. You don’t need to make people move towards you. You just need to get out of the way! It means that we have to consistently negate myself, that “I’m nothing. I’m nothing. I’m nothing,” and move into that ocean of nothingness. If you sit and find someone who says they are nothing, and you insist on asking them to pray for you, then they’re teaching, who is responsible for answering that prayer? That becomes the secret of tariqa. Mawlana Shaykh was teaching us that if you want prayers to be accepted, you want healing to take place, you want the association to have power, then you must destroy the “I” in the association. Your “I-ness” will always destroy the association. If you’re going to put out an article, a teaching, a website, take your name off, take your “I-ness” off of it, take your identity off of it, and convey their message, convey their teaching, convey what the Sultanul Awliya is teaching. Then if someone comes to the association and you’re saying you’re nothing, who’s responsible for that du’a (prayer)? The Shaykhs are responsible because you gave your legal disclaimer that you’re nothing. Then the reply from the Shaykhs is that, “You’re flying our flag in that association. When people walk through the door, people know that the Shaykhs of that association are Sultan ul Awliya, Mawlana Shaykh Muhammad Nazim al-Haqqani, his representatives Mawlana Shaykh Hisham Kabbani and Shaykh Adnan Kabbani. They know, they see their faces, they heard you say your nothing, but their faith is saying “still I want the du’a (Prayer).” Then at that time when they want a du’a, then these Shaykhs are responsible for answering that prayer. Because it is like a legal disclaimer you followed the proper etiquette. Everything in tariqa is based on Adab (etiquette). Mawlana Shah Naqshband was teaching that our way is Association of companionship and gathering. 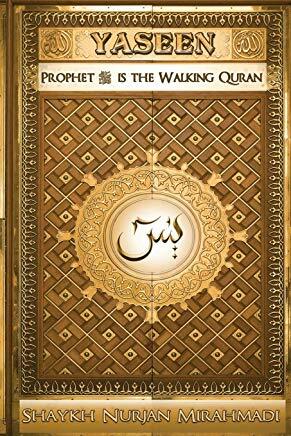 To be a Sahabi and companion means keep the company of people and keep in gathering. That companionship opens up its reality. That if you negate yourself, and all our teachings our meditation and our zikr teaching is that we have to constantly negate ourselves. It means that when I keep saying “I’m nothing. I’m nothing. I’m nothing,” and then I’m sitting and meditating, I’m not trying to build myself to move into that Divinely Presence. I am asking that “Ya Rabbi, I am nothing” I am like an atom that is a piece of dust in the pocket of my Shaykhs. I am nothing, but They are reaching your satisfaction. You are happy with them, You are dressing them. I am seeing myself as nothing. That Your order was to keep the company of truthful servants. And in our lives, we are keeping their company. At that moment you are moving back and these AwliyaAllah (saints) are present in that association. They are always present in association. It’s not what you know in life, it’s who you know that opens all the doors for you. You may know many things, and many people may have many degrees, but if they don’t have the right contacts they don’t get jobs. So imagine in the spiritual world. You may read many books. You may read many spiritual knowledges, but if you don’t keep the company of someone spiritually successful, these Saints who achieved tremendous success, then nothing opens. Because it’s not the knowledge that opens anything but it is that reality, that light that begins to reflect upon us that opens that reality. Then as soon as you negate, their presence comes. That is the difference between tariqa and other spiritual paths. You may go to other spiritual paths, or hear about other spiritual paths and they are making all kinds of lengthy prayers, recitations for everything you ask. They make all sorts of prescriptions, they say recite this, do this, but it becomes more for entertainment. And many times it’s because that individual has no connection or has a very limited connection. So they come up with things like going into a room and throwing darts. They give you all sort of recitation, “recite this, recite that, recite this.”, and they make all sorts of recitation themselves; but like a dark room that they can’t see anything, they hope that if they throw enough darts one of them will hit something. Divine is saying,when my servant approaches ‘Me with voluntary worship’ extra ordinary things not the things you have been ordered to do, we do those. But Allah (aj) says, when my servant approaches me with ‘Voluntary worship’ I become the hearing with which he hears. “I become his hearing” means the Ever-living attribute of hearing. Not just that I hear through his physical ears. It means God is praising those hands! If you reached those eyes, if you reached that hearing, if you reached that Divine breath and that Divine tongue, then those hands are under God’s Ocean of Power, and those feet are under God’s direction, so much so that that servant has power of kun fiya kun, “Say ‘Be!’ and it is” (Ya Seen 36. 82). The fastest and most power solution is to learn how to be nothing. Ya Rabbi, I’m not going to be able to recite everything, to memorize everything, to open all of these complicated formulas and all of these things. 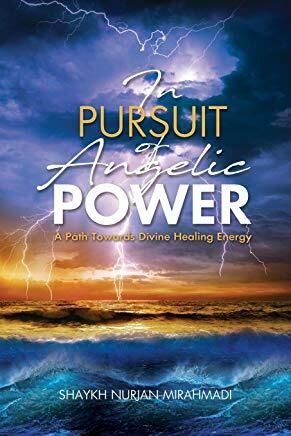 These are from people who don’t have powerful masters, so they learn secrets as they go, and as they uncover a secret they go out and get people to come to them. But the highest level of connection Mawlana Shaykh Hisham is teaching is “Be nothing. Just you sit and you be a mobile phone for us. They speak to you and we’re listening.” All of these technologies are coming as a sign and a material example of the Heavenly power of Saints. Today, you can be in USA and be speaking in real-time with someone in Pakistan as if they were right next to you. How is that possible? They say it’s through light, and that light is broken down into a series of 1’s and 0’s, and then when it reaches the other phone it’s put back together as your voice, but no matter how you describe it, it’s still miraculous! Now you can even send pictures and video through the air, and all of that is from Heavenly realities. Divine is saying, “That power is from the reality that was granted to your soul. Wa lakad karamna bani Adam, ‘We have honoured the children of Adam’ (17:70).” So you can’t say it’s not possible for Saints to hear, because that would mean you have more faith in technology than in your Creator. You are already built with these technologies, but if the “I-ness” remains, your phone is worthless. So if you want access to Heavenly servers, then learn how to be nothing. “abiduna mi mudadakum,” Sultan ul-Awliya keeps saying, which means “I’m nothing without their support.” So then everything they’re teaching is that the power of these associations is that as soon as you go to talk to them their ears are ringing because all their Shaykhs are listening. And what type of Shaykhs are we talking about? We’re talking about the Qutub al-Muntasarif Shaykh Hisham. He is not just a Qutub of this earth. He is the Qutub in charge of the sustenance of every physical form in this creation, and he is one of the seven big wazirs in the presence of Sayedina Mahdi (as) like asab al-kahf, the companions of the cave – nothing changed. The companions of the cave were seven companions who completely gave themselves to their Creator, and the guard of that cave was Qitmir which starts with the Arabic letter Qaf: “Qaf wal Quran al majeed”(Surah Qaf, 1). That is the reality of Sayedina Mahdi (as), and the companions of the cave are seven Saints who eternally have achieved that gift from their Creator that their souls are in an eternal fusion. What Divine is sending to them, they are sending to Sayedina Mahdi (as), and what Sayedina Mahdi (as) is receiving he is sending back to these Saints, creating a powerful spiritual fusion. And God describes the companions of the cave that their movement in only by God’s will. They move left and right based upon the highest realities of light under the authority of their Creator. That reality, one of them is Mawlana. So when your phone is working, these are not regular Saints, and there aren’t even regular Saints to begin with! Even from the 124,000 Saints, if you met the 124,000th of them, his ability is unimaginable from what God is dressing. So then imagine you are meeting with one of the seven greatest saints in all creation – eternally. Their position has always been at that position. So then these associations are under their authority. It means that they are right there. So if you negate yourself that, “I’m nothing. I’m nothing. I’m nothing,” then that big Qutub is there! And from that big Qutub, we know that this association is under the flag of the Sultan of Saints, Sultan ul-awliya, and we know nothing about Sultan ul-awliya Mawlana Shaykh Muhammad Nazim al-Haqqani, only from what Mawlana Shaykh was teaching us, but that he is from the reality of maqam al-fardani , the “most unique station” in creation. When you see Sultan ul-Awliya, they are from the reality of the moon – they have completely annihilated themselves and reflect only the light of Sayedina Muhammad (s), like the moon reflects the sun. They are the most humble of 124,000 Saints, and because of that their face is always at the face of Sayedina Muhammad (s). It means that their whole being is facing that Prophetic reality which is the source of all light for creation, because the Creator is la sharik Allah, there is nothing like unto Allah (swt). You cannot go anywhere in creation and find God. God’s essence is dressing the Prophetic reality, dressing the face of Sayedina Muhammad (s). “Everything (that exists) will perish except His holy face” (Al-Qasas:88). Who’s face is being described when God says that all that exists is the holy face, and everything shall perish? Because as soon as you’re meditating you’re finding it difficult just to keep yourself in the presence of these Shaykhs. Just “I want to be there” and that image goes and then you feel the energy all around, but the highest level is not only they bring you into their presence, they put you on your knees and say “look! And keep looking!” And you look and all you see is their holy face shining, and that is the reality of HuwaHu and our t-shirts. That taweez, “Hu” of Allah is always looking and sending all His power to “Hu” of Muhammad (s). So always Prophet’s (s) light is being filled from Divine Presence, from Divine Essence. Prophet (s) is reflecting that essence to his family, and from his family to all Saints. All Saints are taking from that refection. Once you understand what a Saint is, then you start to understand what these associations are, what Naqshbandiya is, and what tariqa is. So Mawlana begins to explain for us that they are taking from the holy face of Sayedina Muhammad (s), and from that face it reflects to the face of different Ahlul Bayt, and the face of those Ahlul Bayt are dressing those 124,000 Saints – none of them can be taking any power except coming from that face. So you are asking if they are Shia or Sunni? You must be crazy! Ask them, “Are you taking from the face of that reality!” There is no way to understand this from a physical understanding. You are talking about the reality of light. In God’s presence you achieving these ranks and you’re moving now and you become a truthful servant. It means that your character is perfected and they begin to take your face into that presence. That face must be dressing your face. That holy face must be dressing your two ears with their energy. It must be dressing your two eyes with their energy. It must be dressing your two nostrils from their breath. We’ve said before that you are dead in this life. Don’t think the breath that you are taking is a real breath. You are at the bottom of a very dirty ocean and you’re dead! But you don’t know it because the dead one doesn’t know that he’s dead. He thinks he’s breathing and enjoying everything! So then the whole power of the meditation and the zikr is that these Saints have been sent to save those dead ones. God says, “We created death and We created life.” It means that when a Saint is sent to teach you, he’s found you dead in that water. If you were alive, you were already a Saint. That’s why we said that these zombie movies are how these Saints are seeing us. Otherwise, how are so many people harming and killing each other? They’re zombies! If they knew their angelic reality, would they harm anything? They would be like nature, just taking what they can eat and leaving everything alone, but we are like zombies now just killing and torturing and terrorizing each other because we are dead. So when that Saint comes, they take us out and begin to breath. They breath from their breath, from the Paradise breath of nafas al-rahman in Heavenly presence, that God is sending that energy to Sayedina Muhammad (s), and these Saints are taking from that breath and breathing into us. It means that they begin to resuscitate us and revive us in that presence. So then, when we say that you are in the presence of these big saints, it’s something that we can’t imagine. 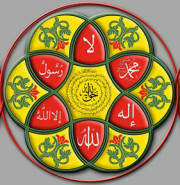 We are very connected to all the ahlul bayt; the power of the association is coming from these ahlul bayt! It’s not a matter of can you love them or not love them – there is no power without them! It means that they are the owners of the kawthar, owners of the Heavenly fountain of abundance. Every word and every reality, every secret that is spoken is coming from kawthar. And the owner of the kawthar is Sayedina Muhammad (s). 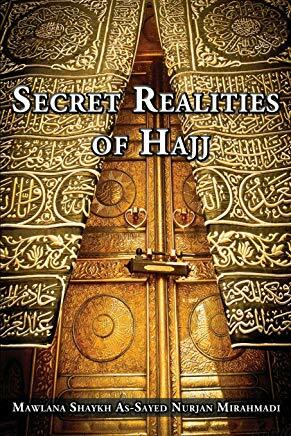 In this material world, the imitation of that reality was the Sufyanis of Kaba. They used to say that “we give water to people making pilgrimage, therefore we are holy.” And Divine is saying, “you think because you’re giving water to people coming on pilgrimage you’re special?” because they were the negative imitation of the reality. The reality of holiness are the owners of Paradise, where the kawthar and the flowing springs of realities are emanating; where God is saying “all of creation is from Bismillah ar-Rahman ar-Raheem,” and all that Bismillah ar-Rahman ar-Raheem is in the oceans of kawthar, and the ones giving you from that kawthar are these ahlul bayt. So every Saint must be taking from that kawthar. Then Mawlana Shaykh describes that either that Saint is taking a spoon, because still their strength is small, so they come to the Imams and they get one spoon, and even with that one spoon they are incredibly powerful Saints. Then, there are Saints who are taking cups, and there are Saints who are taking buckets and fountains. You know their power by how many people they are reaching because what you are taking, Prophet (s) is expecting you to distribute. So some Saints teach five people, some teach 10,000 people, some Saints teach east and west, north and south through the internet, through television and through their travels. Sultan ul-awliya is reaching this entire world in his travels. Mawlana Shaykh Hisham is reaching this entire world in his travels. It means that they are not taking spoons from ahlul bayt, they are taking fountains of these realities because that reality is not only a teaching, it’s also an angelic power. 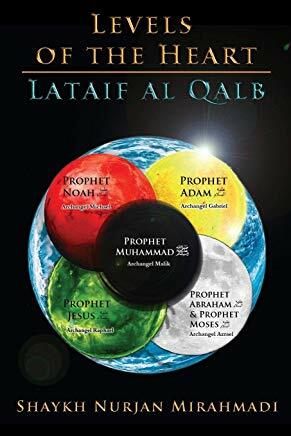 They are coming to the presence of Prophet (s) and saying, “we are traveling this entire planet to spread that light and that love and that power,” and they give them fountains of that reality as angelic energy, and it dresses them and they dress all of creation. So then Mawlana Shaykh begins to teach us that the power of these associations is something unimaginable. When we begin to believe that this association is filled with Saints, that Sultan ul-Awliya must be present because you’re seeing the etiquette. If we make a chair and sit on the chair, the Shaykh is saying, “you didn’t put anywhere for me! So I’ll come back later.” Mawlana taught these manners to us. He taught us to say, “Ya Rabbi, I have nothing. If people are coming I have nothing to give them! I have nothing for myself!” We are emptying ourselves asking, “Please! Their seat is here. They are responsible for these people, for hearing what their asking, praying from what they need.” If you’re humble enough to show up, if you’re humble enough to ask, then they are responsible, not us. Then healing is the same. They hear everything. They hear all of our requests. They hear all of our sicknesses. They hear all of our difficulties in life. So you don’t have to worry about, “did they hear me?” All you have to worry about is why the answer is not coming, because now we are at a new level of faith. The other level of faith is when I spend all my time wondering if God heard me, so I go from Shaykh to Shaykh, Shaykh to Shaykh, every pious person I can find asking, “Pray for me, pray for me! I have this sickness, pray for me! I have this difficulty in life, pray for me!” So they begin to teach us that you don’t have to go anywhere. That mobile phone is on. These Shaykhs are hearing. These Shaykhs are seeing. These Saints are listening. If the response is not coming it has a benefit in our life – be patient! So you learn to be patient. Or, there is a fault in my system that needs to be corrected, so I must fix that fault. Either there is a lacking in my worship, or there’s a lacking in my giving and my generosity, or there’s a lacking in my being of service. If all of those are ok, then be patient and God is the best of planners. So you never have to worry about whether the Shaykhs heard you or not. Mawlana says you must know that they hear. In the meditation they are all around us. We are in the center and they are all sitting in a huge circle from the highest level of reality – because we said that you are in the presence of the Sultan ul-Awliya, the King of all 124,000 Saints. So if the meditation is not powerful for you, it’s because your faith is lacking. If they open for you where you are, you would see yourself in the presence of Sultan ul-Awliya. We are asking to hold his feet in the meditation, and Sultan ul-Awliya is looking directly to the face, to the reality of Sayedina Muhammad (s) and to all the Prophets, taking from that reality and dressing all of his students. If we’re not feeling it, it’s because our faith is incomplete. So then they tell us, Ya ayu hallazina amanu aminuu… “O you who believe, believe!” (Surah An-Nisa, 136). You can’t say, “I don’t have faith.” We have enough faith to be here, but faith is not something you got and that’s it. Every step you have to go higher. You have to take your belief higher! That I’m here? Most definitely! My love is here? Most definitely! I’m believing that their association is at the highest level of realities and I’m just holding to their feet and asking to be dressed from that light. They hear my wants – especially when I come to the association and I ask for them to pray for me, because that requires humility. I can pray at home, but I have a representative who I can speak to, so I’m coming to the representative and saying, “These are my needs. These are my wants. These are the issues in my life.” Then we have to know, it’s been heard. They heard it and they understood it, now why something is not happening? Go back and see if everything is correct. If you gave what you were supposed to give; if you are worshipping as you’re supposed to worship; if your being of service and your account is clean, then have patience. God has the best of plans for you. But Naqshbandiya til aliya means their souls, their students, their loved ones are all there in that association, and their Shaykh is the Sultan ul-Awliya who sits on the seat that faces directly to Sayedina Muhammad (s). So then I understand that he hears everything, he sees everything that’s happening in my life, and I’m even telling the local representative about these issues in my life to confirm that I was humble – they heard it, they know it. So then be patient, they’re working on it and it’s going to have the best of outcomes for our lives. The reality of healing from the Naqshbandi perspective is to make that connection. There’s no need to make all sorts of recitations on people. What’s needed most for people is to bring them to this Heavenly oasis. So when somebody comes to the door sick, if we heal them and use that conveyance, and say “I’m nothing, come!” and heal them and they leave, then what was the benefit? That you competed with God? God gave them a difficulty so that they would seek-out a life-changing remedy, because the physicality is of no interest to God. If difficulty comes to the body, it’s because God loves the reality of your soul, and He knows that if He gives you a little bit of difficulty you’re going to seek a remedy for your soul. So then the real ones shouldn’t be in competition with Divine Presence. They shouldn’t be giving people something and sending them away – that would be fake! So the Divinely teaching is, “Come! Why don’t you sit down? Slowly something will happen.” Sit at this oasis and begin to build their connection with the soul, build their love for these Masters, build their love for these realities because the healing of the soul is more important than the healing of the body. If God wanted to place importance on the body, He could have healed the body himself. So if He is sending you to spiritual Masters, it’s not for miraculous healing. Why? God can’t perform the miracle Himself? He could heal instantly. But to build their soul is what’s important. The broken physicality is a means for them to meet that Master. Once they meet, then sit them down, give them some food and drink and teach them how to build themselves. There is a saying, “Give a man a fish and you feed him for a day. Teach a man to fish and you feed him for a lifetime.” It’s from that reality, that if I give you a fish and send you on your way, what benefit was that for you? Nothing. But if you are a guide of the souls, then they teach you how to fish for your whole life. It means that you reach the reality of your soul through the means of your physicality, which brought you to that reality. So then when something comes onto the physicality, don’t pray for it to go away fast, and that goes for every test that comes. Many people come and say, “Shaykh, make this go away!” but they’re trying to teach you how to fish. If you pray for it to go away before you learn the lesson, then what was the benefit? A lot of new age and alternative healing programs and spiritual programs is about giving people fish, and that’s why they charge. So they have weekend events where they charge $2000 and you become a fish master! You pay the big fee and they give you a couple fishes and you go home very happy, but Naqshbandiya is teaching us to make it a life-long effort. Teach them how to fish for eternity. Teach them how to build themselves in that love and find themselves in that association, and they should be eternally happy because their souls reached, and when their souls reach they become ambassadors for many souls in that family lineage. Subhana rabika rabbil izzati ama’yasifun, wa’salamun al-mursaleen, wa’alhumdulillahi rabbil alameen al-Fatiha.